From 2018 Jun 6th to 8th, 2018 InfoComm USA show was held on Las Vegas Convention Center. 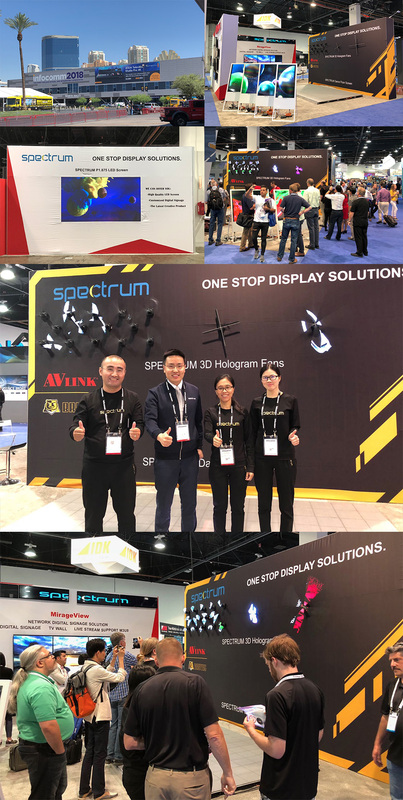 Spectrum presented 3D hologram fan, dance floor LED, customized LCD, P1.875 LED video wall in this exhibition and attracted lots of clients'' attention. Within three days time, Spectrum has made over 400 new friends from worldwide.